Comment on tickets from commit messages. Close tickets from commit messages. Reopen tickets from commit messages. 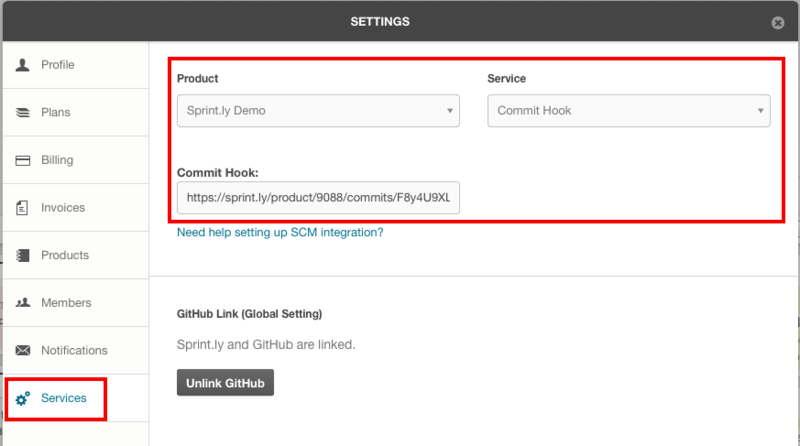 First, locate the commit hook for your product in the Services tab of your Sprintly settings. Select a product from the Product pull-down menu and select Commit Hook from the Services pull-down menu. Copy the commit hook. Once you have your commit hook you will need to log into Bitbucket, surf to the repository you wish to link to Sprint.ly, and go to your Settings on the bottom left. 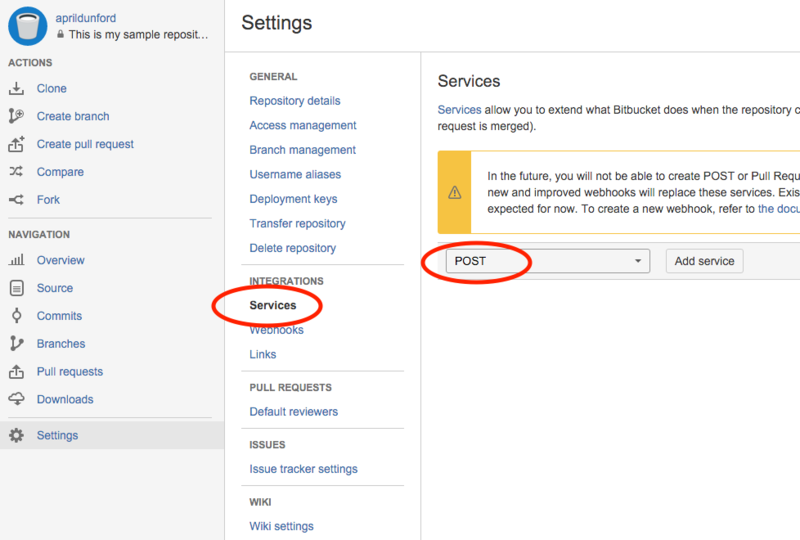 Select Services and in the drop down menu select POST. Click "Add service" and paste in your product's commit hook URL. Then click "Save". That's it! Your Sprint.ly product and Bitbucket repository are now linked.